Coaches Corner | RBI Baseball, Inc.
Hi! My name is Bryan Hannum and I am the new head baseball coach at James River High School. Here, I will post my thoughts as I embark on this journey as a high school teacher, baseball coach, and working member of Rapids Baseball Incorporated. My first season as head coach. I am excited, nervous and ready. There has been so much to learn to do this job well and it all is just exciting. I am getting the gear ordered and am excited for our players to come to practice and start to earn their spot. Not just on the field, but as a leader on the team, leader of a practice, a leader in maintaining the locker room and dugout. There is lots of leadership opportunities in this program. With each win we have, we will identify what we need to do better. Together. With each loss we have, we will learn humility and kick-start the fire for the next win. Win or lose, we will practice leaving it all in the rear view mirror and move on to the next play, hit or game. I can’t wait to meet the new squad later this month and begin the process to build a winning team. I don’t want us to be given anything: I want us to earn it. New coach, new season, new outlook. It takes a lot to be a part of this program and yet if it comes from the heart, it is not work at all. In preparing for my first season as head coach, I have come to find that my heart is all-in and I love being a coach. I love these guys who have come to winter conditioning – they are working hard and they make me laugh and it is all it should be. I am excited for a new JV head coach who will help build our team of tomorrow while giving our varsity more depth as may be needed. Coach Pasquantino will add a whole new dimension to the JV players with his past playing and coaching experience. He has me impatient to see what skills and drills he will add to the program. I am grateful for all the support I have been given and intend to play to win, all season. Please come watch a game and if you tell our concession staff you read my blog, they will give you a piece of bubble gum – to keep or give away. That will tell me you support me in the stands, too. 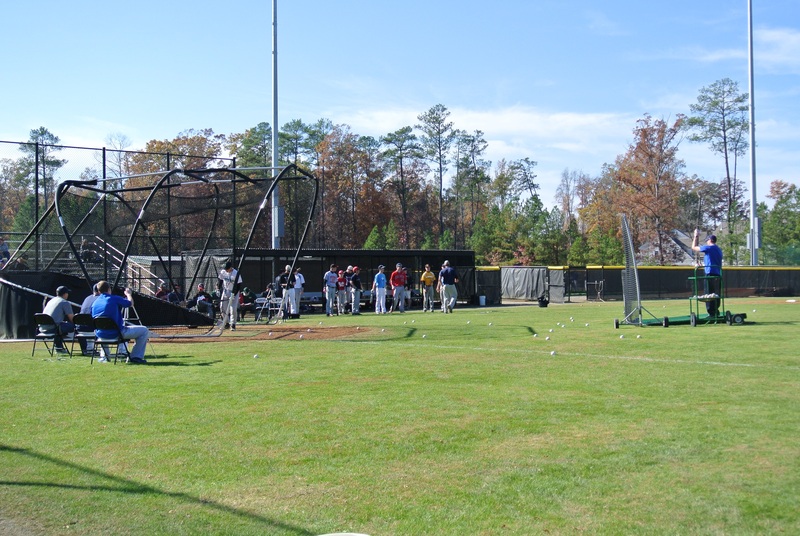 In my first month as head coach we hosted two baseball camps. It felt so good to be a part of something bigger than just our program. The kids at both camps were awesome and I had as much fun as they did. It reminds me that baseball is supposed to be fun. The minute it becomes work, these kids – or me – need to take a step back and figure out if it is time to move on. If you love what you do, not much about it is work. So far, I have had fun in most all my roles as head coach and hope that this carries me through the difficult days that likely lie ahead as those are just a part of life, and am sure will be part of my baseball coaching career. I have a lot of goals for the JRHS baseball program and RBI. I am truly fortunate to have RBI to help shape the program through its upgraded facility and unwavering support for the baseball program needs. 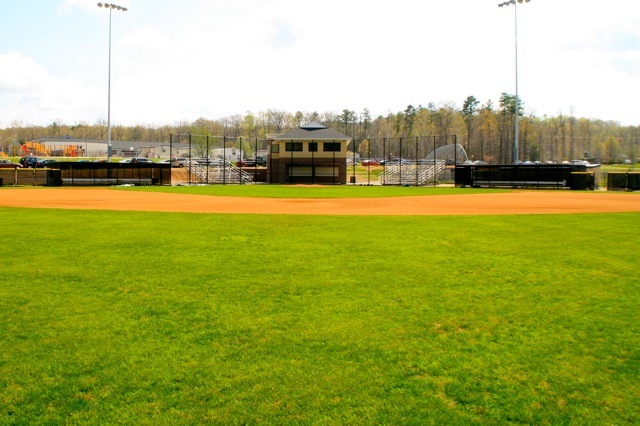 I know I enter as head coach at a time where the bank financing for the building still needs to be paid and the facility needing a face lift after seven years of use, but I embrace the events we will host with support from many parents, players and the RBI Board and other RBI supporters. I think important that our players work to maintain the great facility that former players worked hard to build: that is our responsibility. I look forward to working with all kids, future baseball players or not, at our youth camps and other events we are planning with other friends and coaches of James River. I know our players will show great leadership and life skills as we have a week of fun and baseball instruction in any of our camps. Thank you everyone, for your support as I begin my coaching journey at James River!